The Canvas Commuter backpack from Banjo Brothers has withstood just about every type of weather Minnesota has thrown at it over the past nine months of riding. From springtime downpours to winter ice storms and blizzards, the pack has handled it all, protecting precious cargo along the way. Cycling packs are one my most beloved and frequently relied-upon pieces of gear. So naturally I’m skeptical to try a new pack. When I got the Canvas Commuter in for a test I figured I’d wear it hard for a few weeks, write a review and go back to my Chrome pack. Nine months later, and I can’t remember where I left the ol’ Chrome. 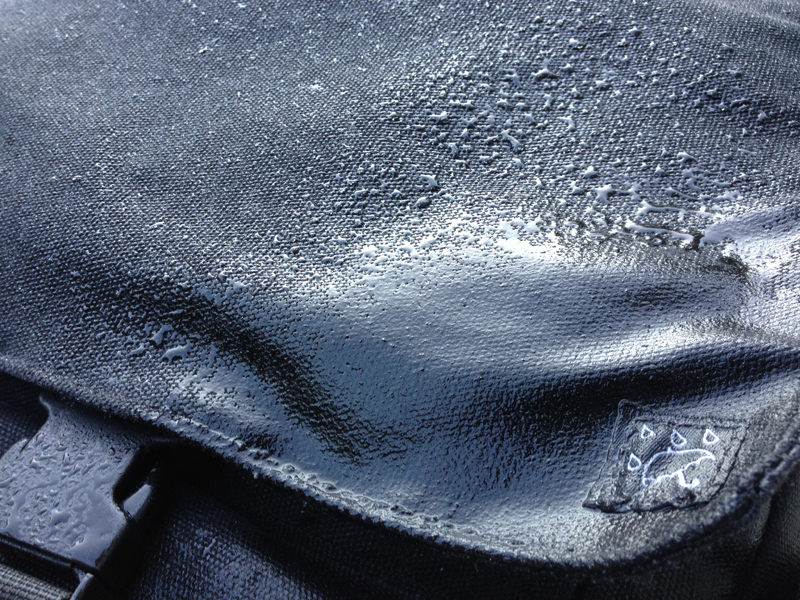 The waxed canvas pack from Banjo Brothers repels water, and a waterproof inner liner guarantees valuables stay dry. I have my laptop in tow twice a day on the ride to and from work, and while it isn’t a long trip, the guarantee that my livelihood won’t get soaked is priceless. On the topic of price, the pack comes in at $99.99 — significantly more affordable than comparable packs from other brands that range from $140 to well over $200, depending on the brand. Based in Minneapolis since 2003, Banjo Brothers has built its reputation on tough, practical and affordable cycling bags — from panniers to saddle bags and commuter packs. The Canvas Commuter is a prime example of how this three-pronged approach gets it done. The pack has thrived in unpredictable and extreme Minnesota weather for nearly a year, and it’s affordable at under $100, as noted above. In terms of practicality, it became clear immediately upon strapping on and saddling up that the designers had ride-tested the do-everything commuter pack plenty. 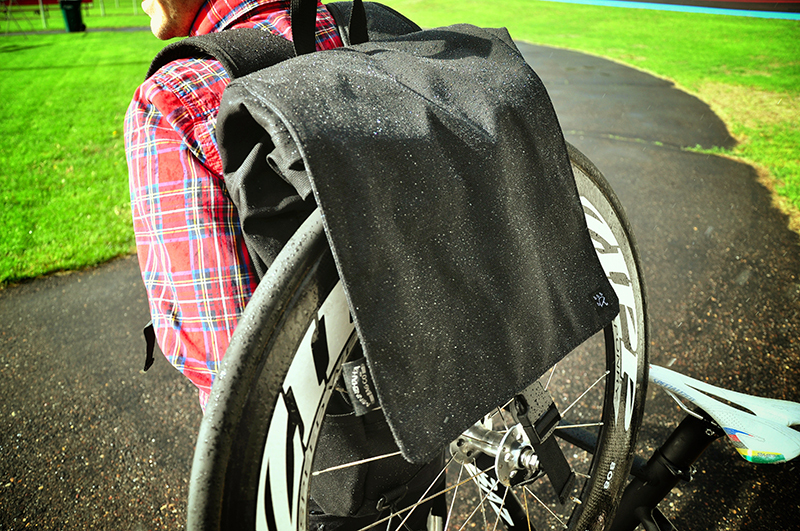 The pack is comfortable to wear, whether you’re crouched over in the drops or walking through the airport. The side pockets are easily accessible mid-ride, which is clutch when you don’t want to pull over to grab a snack or swig. Having never previously used a pack with a cellphone holster on the shoulder strap, I’ve definitely become a convert with the easy accessibility it allows both on and off the bike. It’s certainly not revolutionary or unique to Banjo, but it’s a nice touch. Transportation for two: Hauling a Tern folding bike to pick a friend up from the airport. I’ve also found the size of the pack (1500 cu. in.) to be choice. Whether I’m carrying my laptop and a book or a week’s worth of groceries, it’s proven to be adequate space. 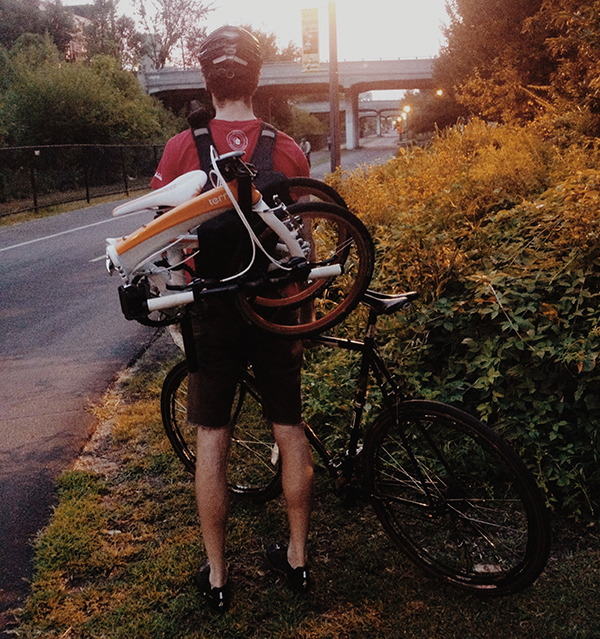 And when I don’t have a load to haul, the pack sits flat on my back, avoiding the drag-tastic parachute effect. Aesthetically, the pack is blacked-out and stealth other than reflective strips on the shoulder straps, which I appreciate as a nighttime visibility fiend. I’m not an active member of a militia, so I’ve never understood the appeal of the camo/tactical look that some brands are pushing. 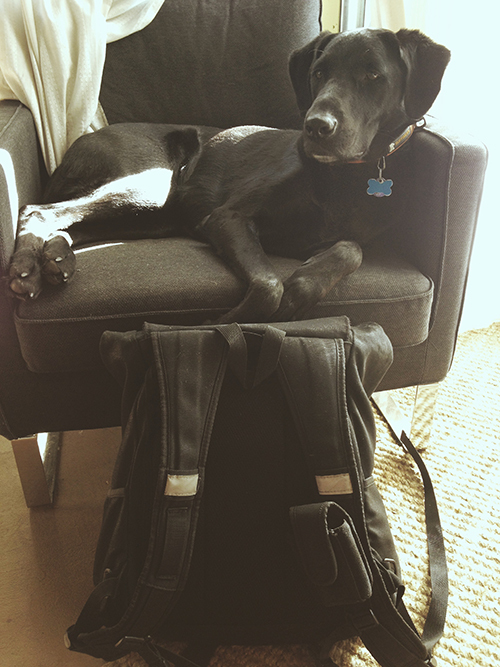 Banjo keeps the aesthetic simple and focuses on performance. The size of the Canvas Commuter, combined with its durability and ability to keep your valuables dry, make this pack a solid choice for bike commuters or anyone looking to haul on two wheels. 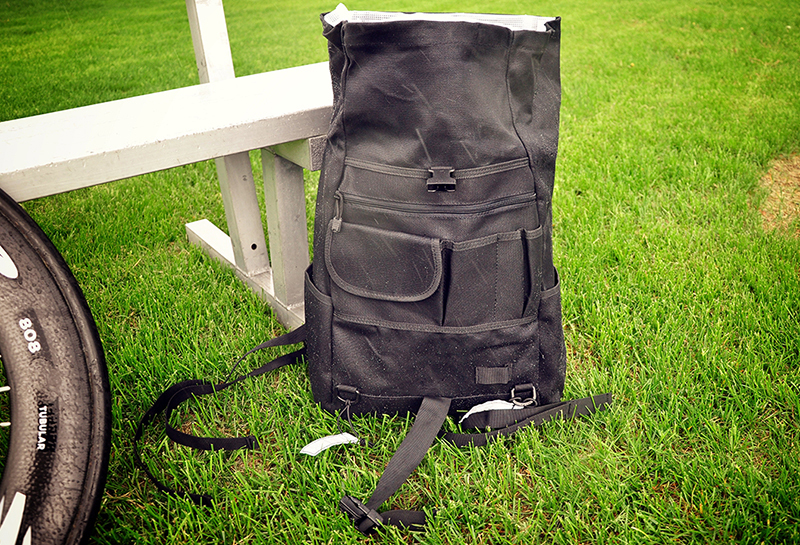 And if a more functional pack at a better price is out there, I haven’t found it yet.